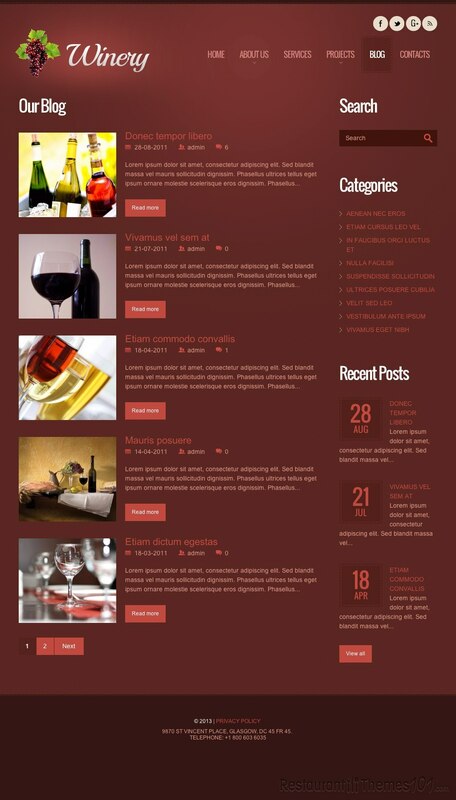 If you are in need of a WordPress winery theme, look no further. 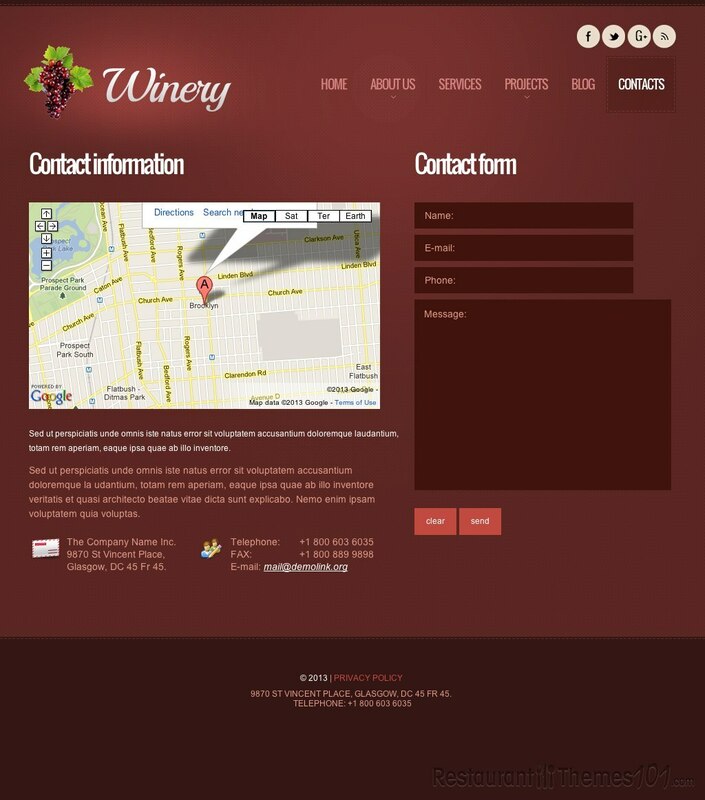 Winery is a fine theme created by Sawyer and featured on Template Monster. The theme looks absolutely gorgeous with a beautiful set of colors perfect for a winery website: dark, rich red, white and black. 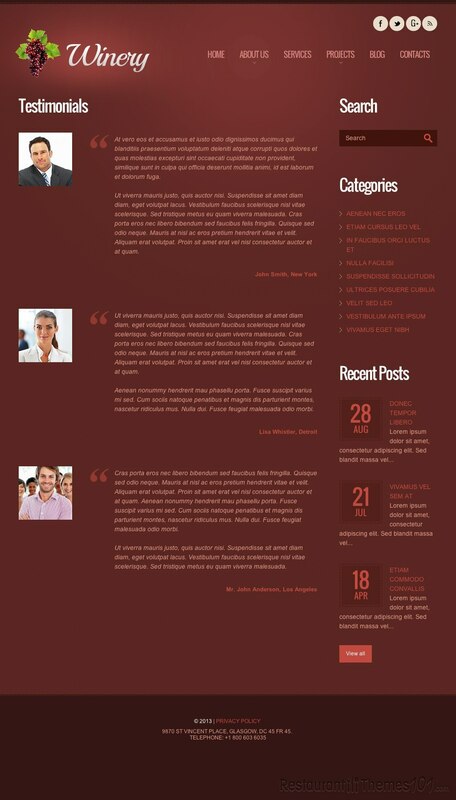 The homepage of the theme features a big slider with huge, quality photos which are actually links to your posts. By clicking on a photo your visitors will be lean to a page where you can explain all the details about wine making, grapes, or anything else you like. Add teasing photos with short descriptions of different kinds of wine right under the slider and by clicking them, you will lead your visitor to the page where you have a detailed post with all the small things you would like to tell them about. You can also add your recent news or some of your most important posts to your homepage so you can be sure your visitors will see exactly what you want them to see when they open your website. To make things even more interesting, add testimonials that come from your happy customers right on your homepage. Your visitors will be able to read them all and make sure your winery is well accepted among existing customers. 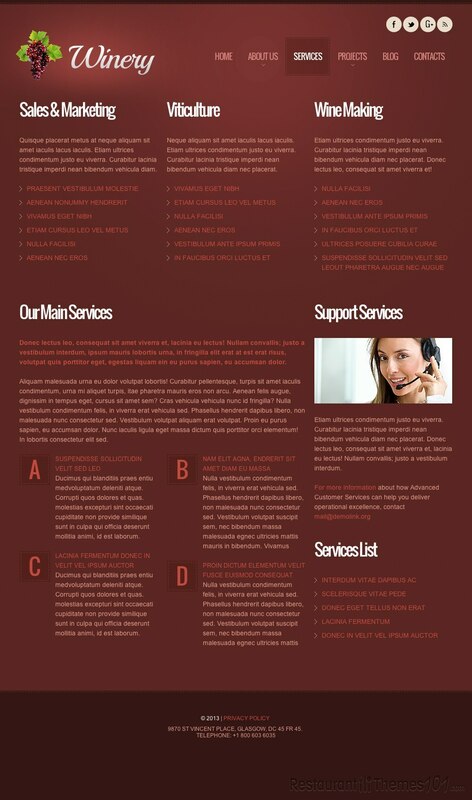 The top menu contains 6 sections: home, about us, services, projects, blog and contacts. This is where you can enhance your website by filling it in with content that will be nicely categorized so your visitors know exactly what you are all about. The contact section features Google maps integration so everyone can find your place easily. A nice, easily run admin panel will make it easy for you to do all these tasks. 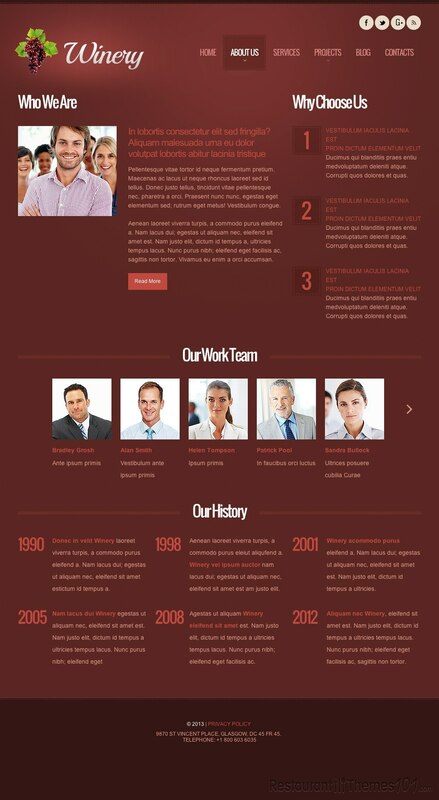 The theme features nice social integration allowing you to connect your website with Facebook, Twitter, Google+ and RSS. Winery comes with installation and setup instructions, it is fully widgetized and it comes with PSD files included.